This review will contain spoilers from The Collector if you haven’t read it yet make sure to check out my spoiler free review here. At the end of The Collector Dante has officially left the service of Hell and started working for the Big Guy as a Liberator for Heaven. The problem is Dante doesn’t really know what all of that entails and is content to just follow Charlie around and be the same person he always has been. That is until Big Guy sends him on a mission to liberate a girl named Aspen’s soul. Aspen was a welcome addition to the story. I liked that a female character was introduced and she was in no way a love interest. Boys and girls can be friends and I think that the relationship that Aspen and Dante develop really proved that. I also liked that Scott uses Aspen as a way for Dante to reflect on his own character and his own failings. Dante really begins to grow as a character in this novel. 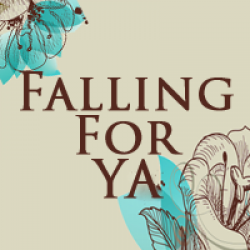 Never fear all you Charlie/Dante lovers there is plenty of romance and swoon-worthy moments between the two of them in this book! Despite Charlie acting a little out of the ordinary in the beginning of the novel and Dante’s constant worrying things get ‘back to normal’ and I enjoyed the way their relationship progressed. It felt natural given all these two have been through. One thing I feel the need to mention is that the first half of the book was a little slow. Luckily, after a pivotal moment the action revs up and the ending of The Liberator left me wanting more. I can’t wait to see what happens with Dante, Charlie, and Aspen next. 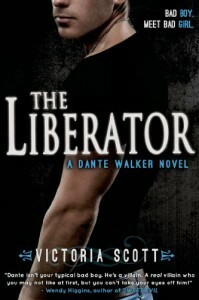 Overall, The Liberator was a great sequel that ends on a high note and I can’t wait to read more from Victoria Scott!